I’m back in London after a fun busy week in Oslo at the “Human Rights Human Wrongs” Festival with Voice of Tibet and Tibetan musician Loten Namling. 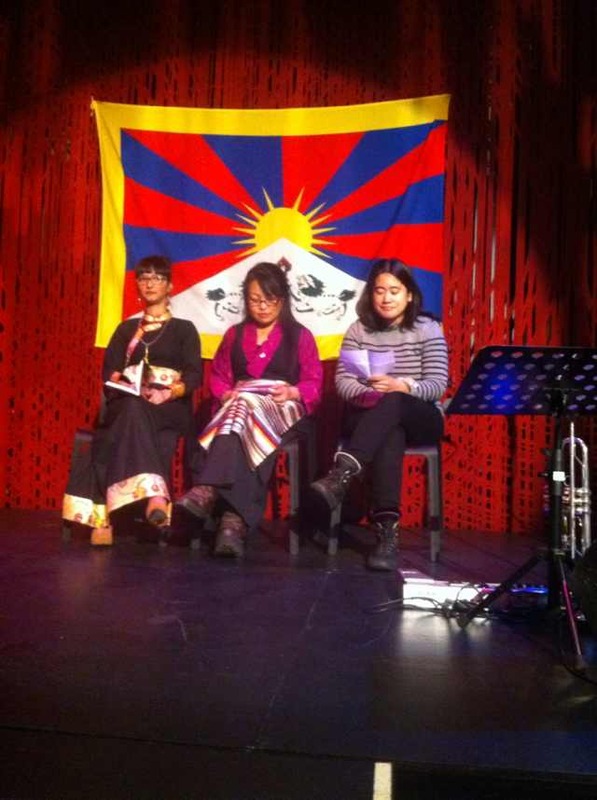 From February 5-8th we had public events every evening to highlight “Banned Expressions” from Tibet. 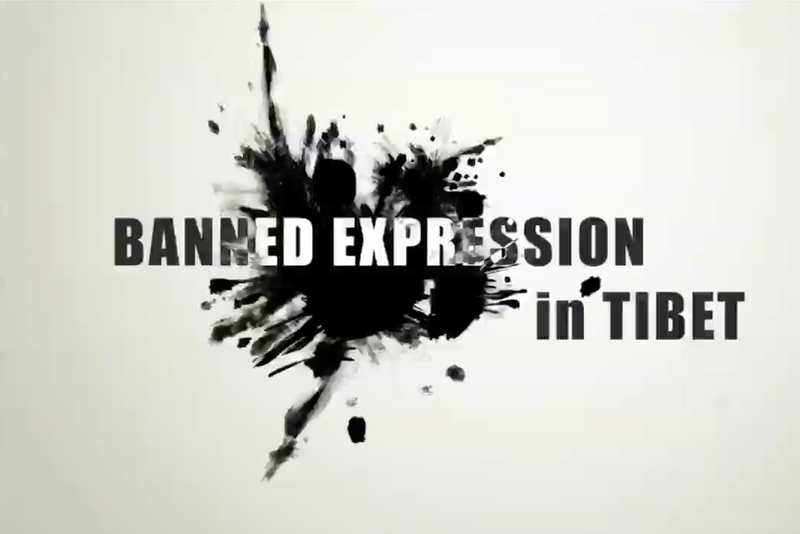 “Banned Expression” is a campaign to highlight the silenced voices of singers, writers and artists in Tibet and is a partnership between Voice of Tibet, Tibetan Centre for Human Rights and Democracy and High Peaks Pure Earth. 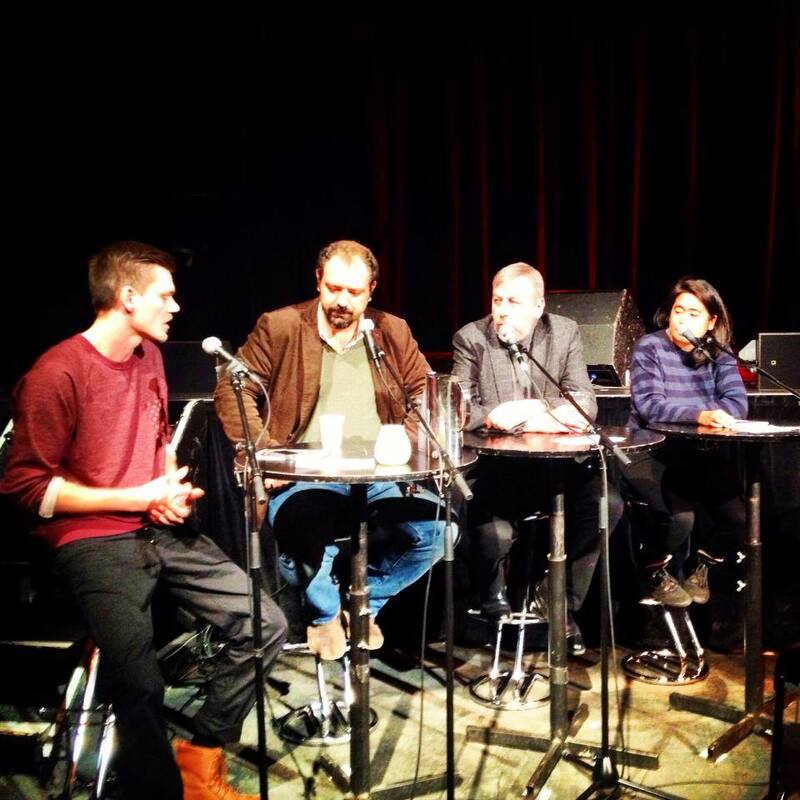 On the evening of February 5, I took part in a panel at Parkteatret where Human Rights Human Wrongs were introducing their International Guests. I had the great honour to talk about my work and the world premiere of our documentary film “Banned Expression”, which was taking place the next day, alongside Andrei Sannikov from Belarus and Orwa Nyrabia from Syria. They were there for their films “Dangerous Acts Starring the Unstable Elements of Belarus” and “Return to Homs” which were also showing at Human Rights Human Wrongs. Andrei mentioned how there had been people in Minsk demonstrating for Tibet back in 2008, I was touched to hear this, I had no idea that there were Tibet supporters in Belarus! 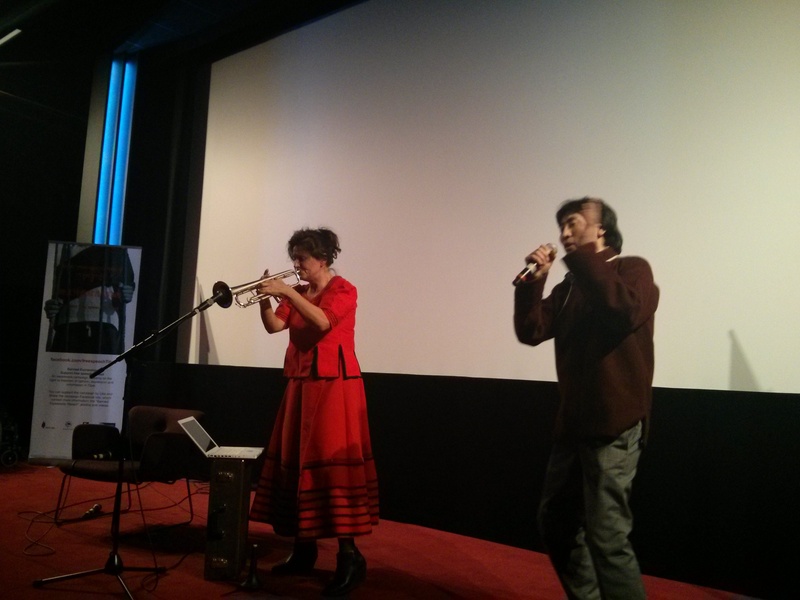 A Tibetan song performed by Minkyak Kesang with Hildegunn Øiseth at the world premiere of “Banned Expression” in Oslo. Photo by Dechen Pemba. The next evening was the world premiere of the 40 minute documentary film “Banned Expression” at the lovely Victoria Kino. I introduced the film and gave an overview of the current situation for cultural figures in Tibet. We also had a short programme of speeches, songs, a short film called “Modern Enlightenment” by Joe Baur followed at the end by live musical performances from Loten Namling and Norwegian musician Hildegunn Øiseth. The final evening event was a full concert by Loten Namling and Hildegunn Øiseth who performed both separately and together, making a fusion of Tibetan and Norwegian music! Hildegunn had an assortment of traditional Norwegian wind instruments, as well as a trumpet, and together they created truly unique sounds rather spontaneously. Before the music started, three of us read out writings from Tibet, Rini read the poem “A Vow” by Woeser la, I read the preface of “The Restless Himalayas” by Dolma Kyab and Tsomo la read the song lyrics to “Raise the Tibetan Flag, Children of the Snowland” by Lolo. Both Dolma Kyab and Lolo are currently in prison for their writings and songs. After the readings, we left an empty chair on the stage to symbolise the missing cultural figures in Tibet, it was particularly poignant to do this in Oslo, a place that knows all too well the significance of the empty chair. To follow the campaign “Banned Expression” like the Facebook page here: https://www.facebook.com/freespeechtibet Of course none of this would have been possible without the generous support of Norways’ Fritt Ord and the energetic enthusiasm of Oystein Alme of Voice of Tibet and his whole team. Thank you to all!